Motorcycles in general, history, etc. I'm a motorcycle nut. I only have three now. I started riding when I was 18, way back in 1969. Trail/enduro. 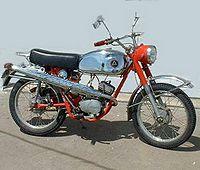 My first motorcycle was a Hodaka Ace 90, I bought it with the earnings of my work in the summer of 1969. 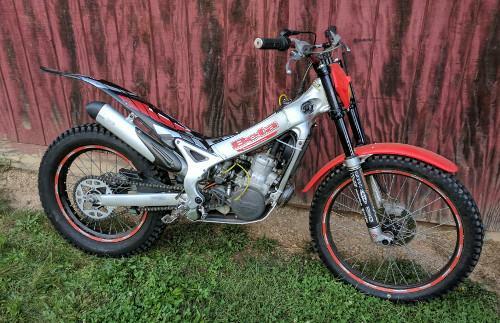 It was a "dirt bike" altho it nominally was street legal. I think I even got real Virginia plate and registration for it. My friend Lloyd introduced me to street bikes, my early bikes were mostly dirt bikes. Once I rode Lloyd's Yamaha R5, I was hooked. 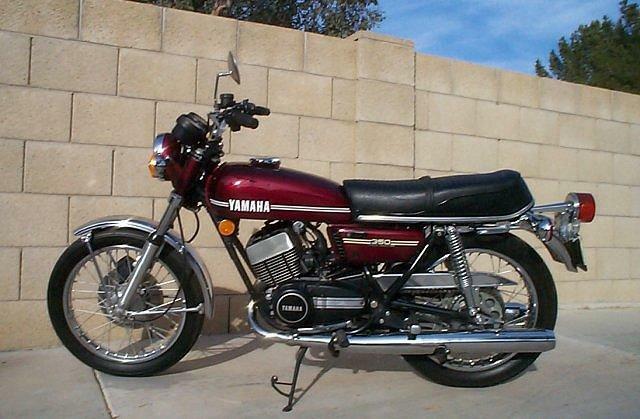 I had to have my own Yamaha 350, so I bought a Yamaha RD350. In a few years, I got into road racing, and did that up through the 1987 season. I got out of motorcycles, did not ride one again for about 30 years. Then I slowly got back into it. 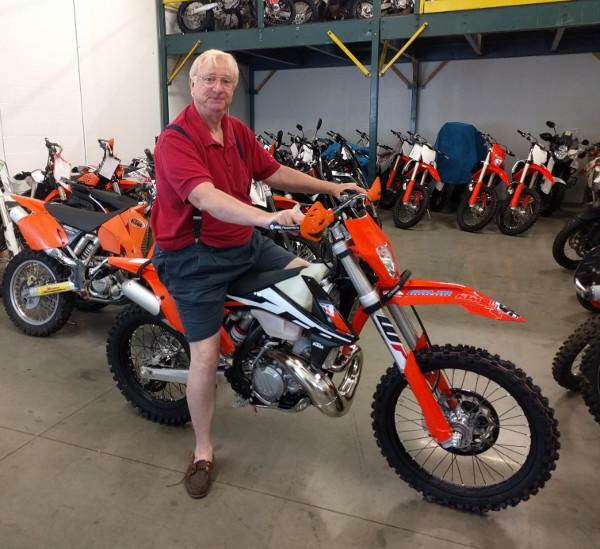 Last Summer, I bought a new enduro bike, a KTM 300 XC-W. I've collected some GPS/GPX tracks of trails. No guarentees, but I've had fun on them. Trials (or more properly "Observed Trials") is a motorcycle sport that is unlike anything I've done before. Its about balance and timing, not about speed. I recently bought a used trials bike, so I can improve my balance and bike control. I attended Ryan Young's trials school in Shepherdstown WV at the end of September 2017. He is a great guy, check out his Ryan Young Products website.